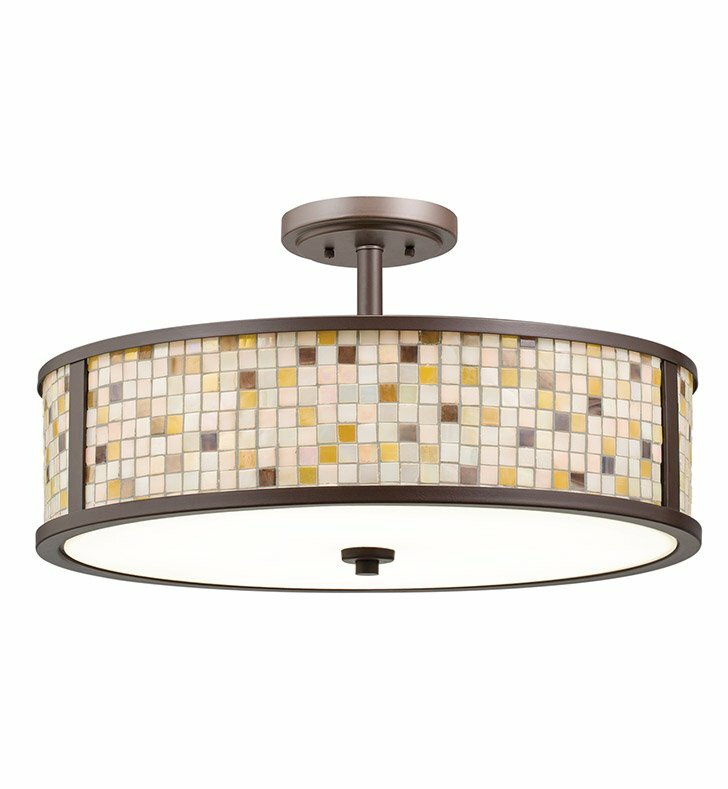 Questions about Kichler Lighting 65381? Add a cozy, warm accent to your home with this versatile 5 light semi flush or pendant from the Blythe collection. Geometric design and neutral coloring are the heart of this design. The Art Glass detailing and rich Olde Bronze finish will effortlessly enhance any space. Dimensions: H 11 1/2" x W 22"